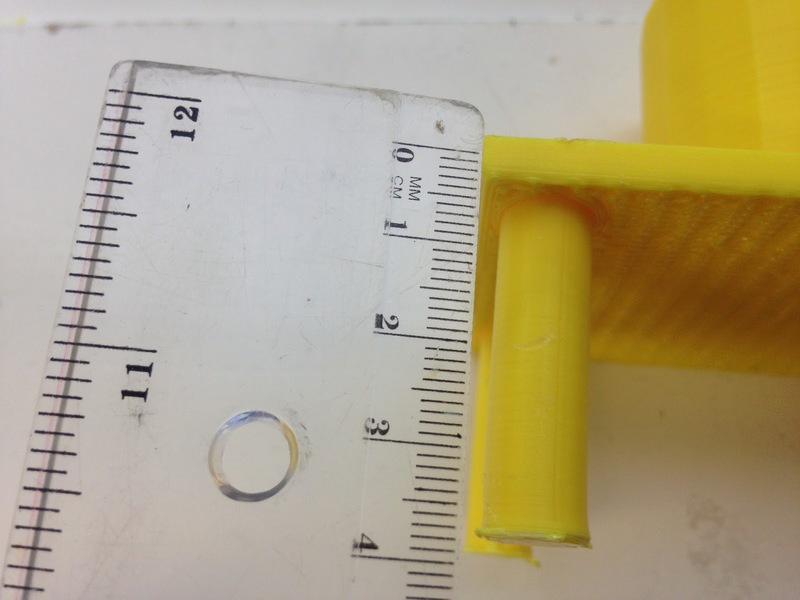 Final Print with name aspect visible. 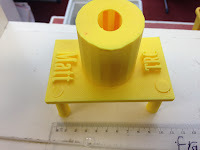 Challenge: Having completed the design, testing and refining of a student created 3D Printed Bait Station, the students were considering ways in which to personalise the creation. Background: This design and process has been described indepth before on previous posts on this blog, the difference was an addition was made, as shown in photographs, that the name of the person (in this case from the Taranaki Regional Council, the pest control officer was added to the base of the print) was added. This was for the purpose of identifying the bait station, and obviously this could be modified to introduce the name of a company or organisation or even number the bait stations in sequence for recording purposes. 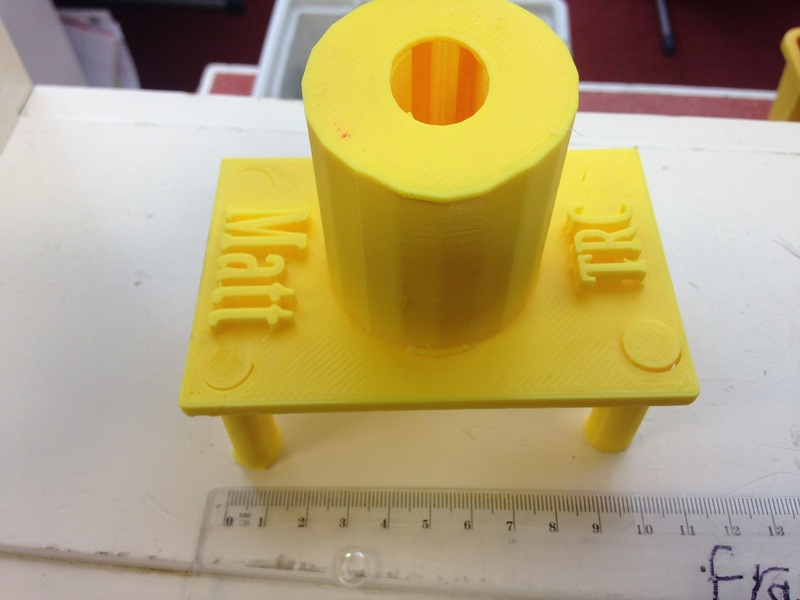 It was also considered that the students could produce something similar for fundraising purposes, with the name of a company, or individual added to the print run. 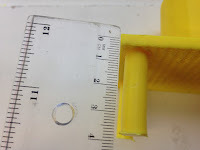 Level of Difficulty: Low - the print has not changed since the development of the extended feet, the only addition to this version was the naming which was completed with basic lettering that was taken from the main interface of Tinkercad, this took the student within three minutes to complete. Timeframe: Ten hours (original print design) adding the lettering did not affect this in a significant way. legs featured above enough resistance is created to prevent the toppling of the bait station. We have photographs of hedgehogs attempting to do just this to allow them better access at the bait. What we would do differently: The students will be moving on to other projects as this one has been mastered, the only exception would be the production of individual bait stations in some form of economic process (such as a student market day) or gifts to the appropriate organisation associated with the school.